"Heart of the Country" releasing to DVD on Aug. 20, isn't necessarily a bad movie, but there's really not much that is too memorable in the 87-minute runtime. The story is a by the numbers affair, taking cues from so many better features that have come before it. It seems these days that any film or TV show featuring a woman at the center has to have her debating which guy she should really be with. So many of them involve some sort of supernatural aspect (Twilight, Mortal Instruments, Vampire Diaries etc.) attempting to recreate success. Typical for Hollywood and apparently typical for Nashville, which is where this film hails from. Jana Kramer plays Faith, a New York-based singer returning to her home state of North Carolina after a four-year-absence. More specifically she returns to Columbus County, it would be nice to know what town specifically she hails from, even if it is fictional, but the writers seem to have forgotten to add that little detail. She and her husband, Luke (Randy Wayne), are in a bit of a struggle with their marriage. Luke, who fits the Wall Street businessman mold to a "T", is arrested for fraud. Naturally this creates a huge rift between the two of them, as Faith now feels she can no longer trust him and begins to wonder what else he may have been holding back from her all the years they've been together. So Faith returns to her home state and county (still no town name!) to try in an attempt to reconnect with her "roots". And wouldn't you know, there happens to be a cute, oh-so-sweet, salt-of-the-earth doctor working in the town and (surprise!) there's some chemistry going on between the two of them. Faith's father and sister still live in Columbus County, problem is there's some unresolved issues between the three of them and that makes for an uncomfortable reunion. Faith's father Calvin (Gerald McRaney) seems more willing to forgive and forget while her sister Olivia (Anne Hawthorne) is quite the opposite. The problem here is that the story never bothers to fully explain what could cause such animosity between them; at least not fully. Sure, we eventually discover that Faith never invited her sister the wedding, but that doesn't seem like an issue that would cause such tension. You get the sense there's more going on, but again, the film seems more interested in focusing on country music (naturally sung by Kramer) than bothering with little things, like plot development. Her co-stars do an admirable job, McRaney is usually type-cast as the paterfamilias in television shows like "Jericho" and "Promised Land," but it never gets tiresome to see him perform in the same kind of role. He's quite good here, Anne Hawthorne seems to relish in playing the spurned younger sibling, Randy Wayne (Luke) acts the part of a stuck up, corporate businessman but he doesn't exactly look the part. Everyone here, excluding Kramer, gets an "E" for effort for their roles, but at point do we really feel any connection to them. 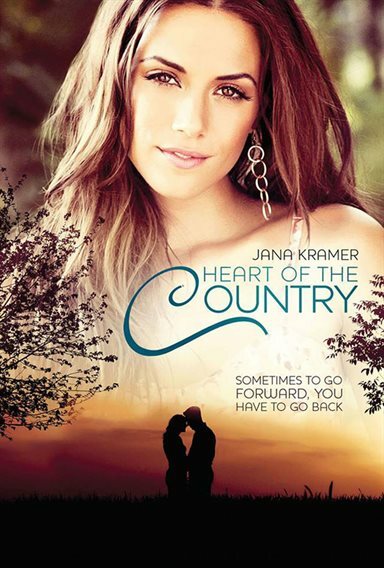 Kramer has a great voice, but "Heart of the Country" becomes more focused on highlighting the fact that she's a country singer in real life, and less focused on trying to explore the people in the film. Much of the soundtrack consists of songs created by Kramer, and they tend to play at a somber point in the movie – of which there are many. Sure, Faith is also a country singer in the film, but there's only one instance in which we see her sing, and it's in a flashback to when she and her husband first met. Speaking of flashbacks, director John Ward relies way too heavily on them. Whether it's to show Luke getting arrested, Faith's mother being rushed to the hospital after an accident that ultimately killed her, or the moments when Faith and Luke felt real love, we see it in a flashback. On DVD now, not much can said for the film. No Blu-ray here, just your standard version. Visuals are nice for what they are. The country settings do look crisp and sharp (imagine how they'd look on Blu-ray!) while the audio does a fair job. Kramer's voice definitely comes through the most here, since this isn't a movie of loud explosions. And as for special features, all you get is a music video by Kramer titled "Heart of the Country". Download Heart of the Country from the iTunes Store in Digial HD. For more information about Heart of the Country visit the FlickDirect Movie Database.